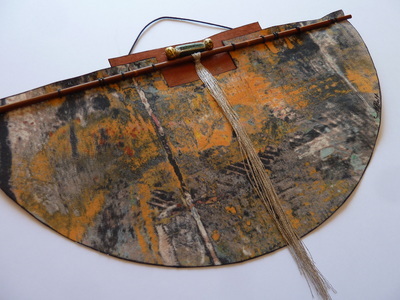 Maggie predominantly uses a technique of monoprinting on fabric with pigmented clay. She learned this from Diana Crane. 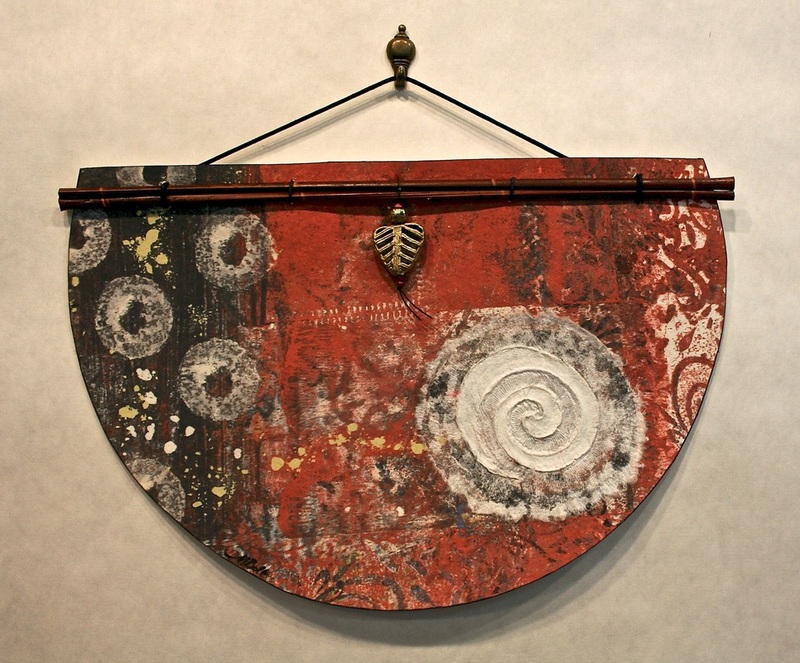 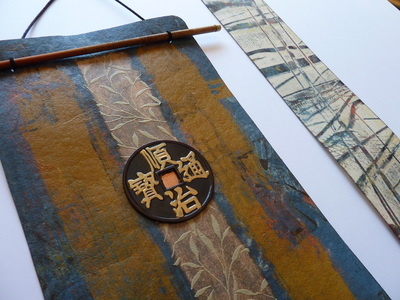 The “plate” is made from leather-hard un-fired clay that is rolled flat. 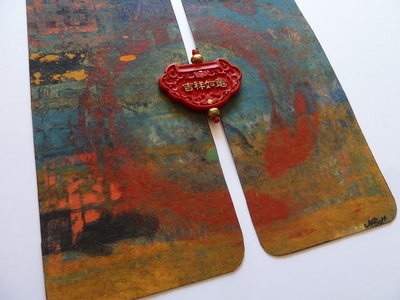 Color slip, chalk pastel and various templates can then be added to the plate. 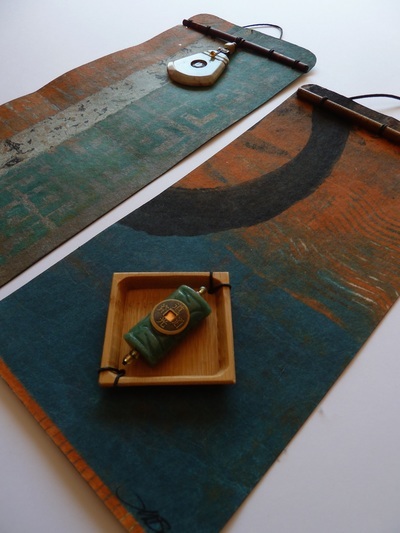 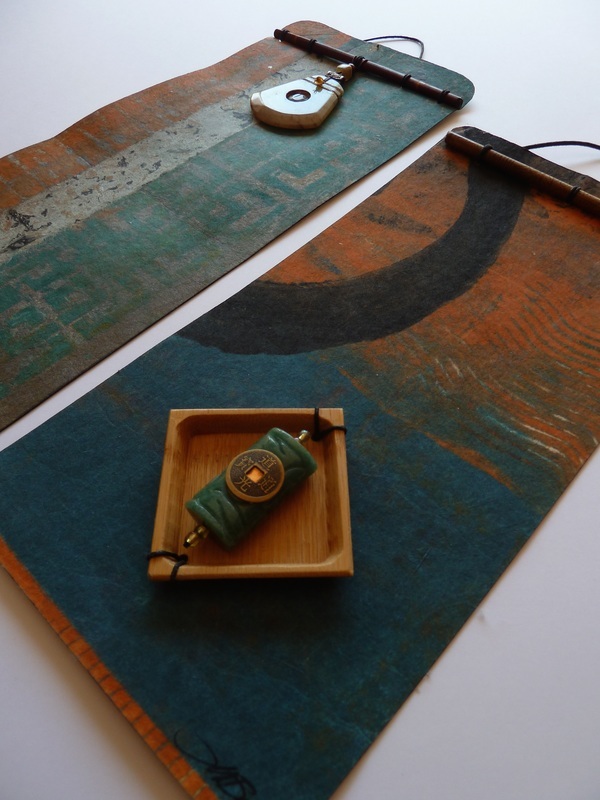 Once she is happy with the piece, fabric or paper is rolled on top to print the image. It is a marvelous way to get great layered color and texture, that can be printed over and over again to reveal older layers. 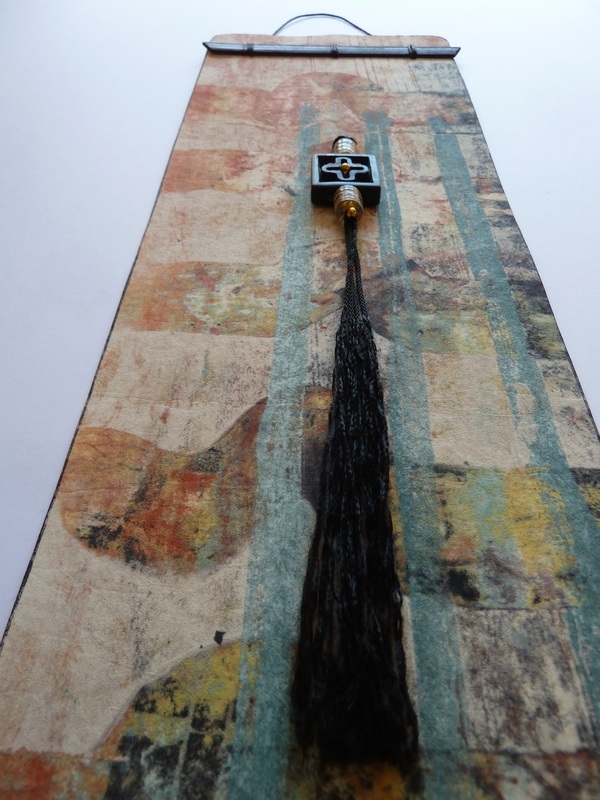 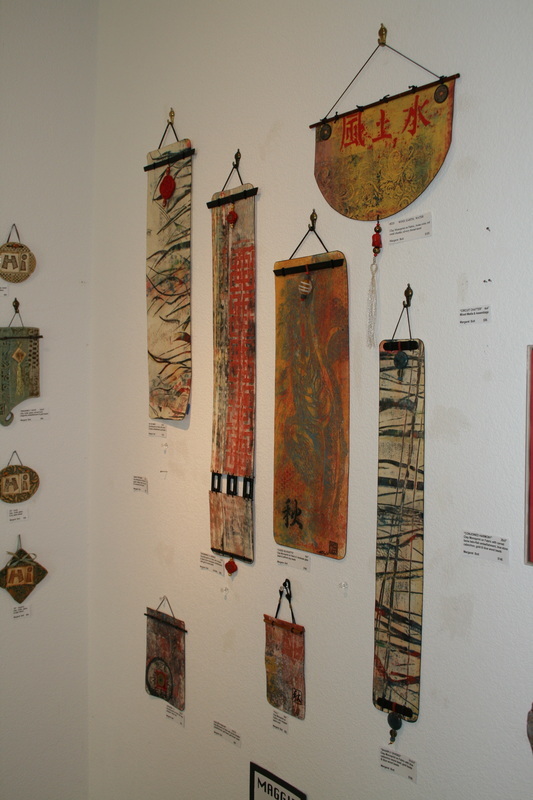 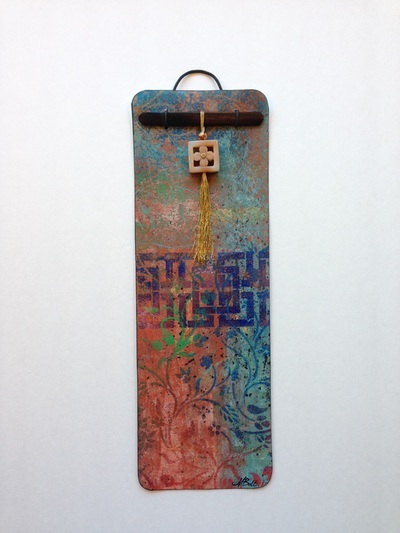 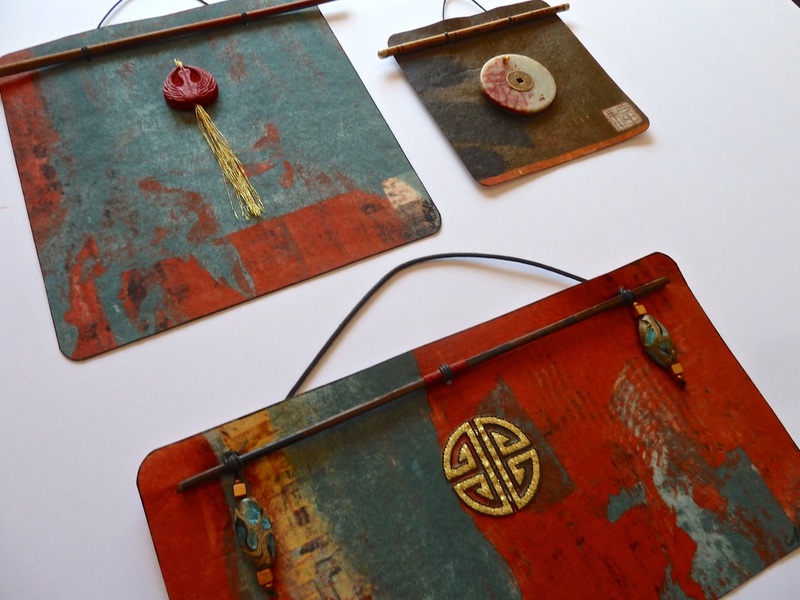 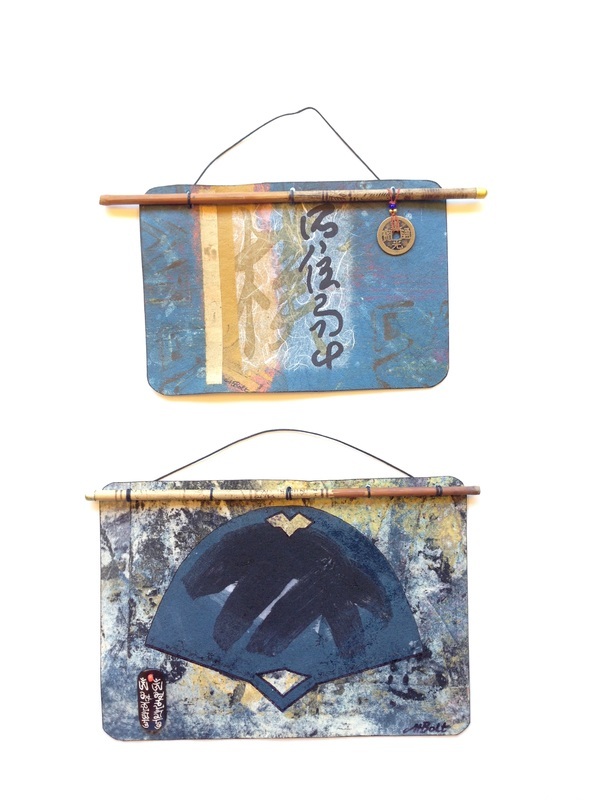 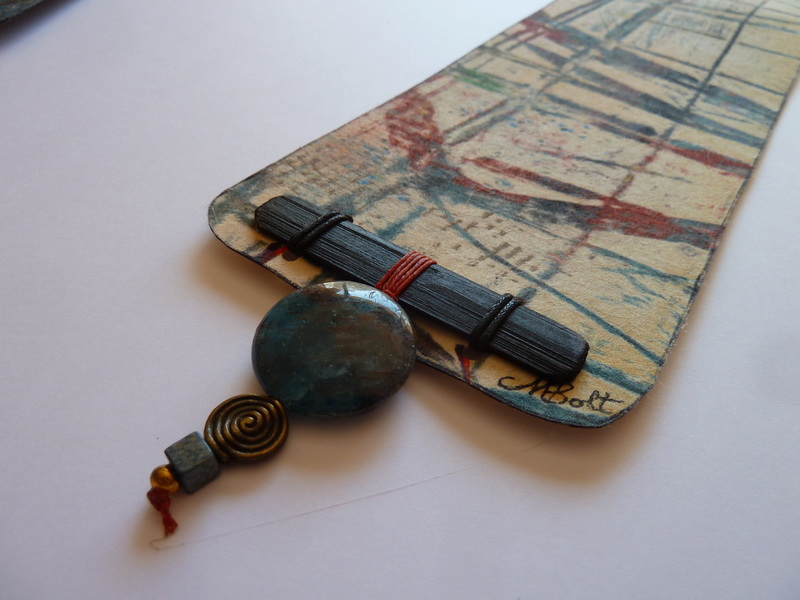 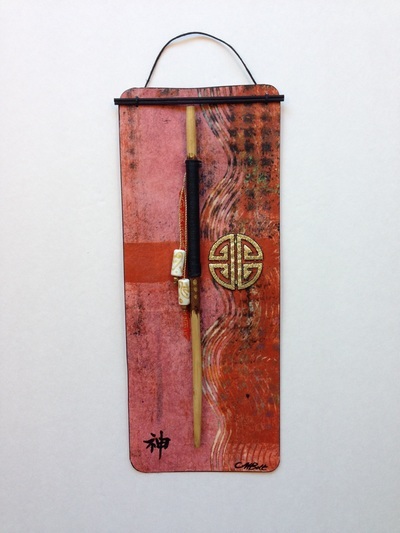 Maggie then crops, collages and embellishes the prints before either framing them or hanging from chopsticks.